Easter Eggs in Famous Art | We've Been Awarded Feefo Gold Trusted Service Award 2017! Mother’s Day is just around the corner (26th March – put it in your diary!). Today we look at mothers who inspired, encouraged and modelled for some of the most famous artists of all time. Lucian Freud, one of the most celebrated 20th century portrait artists, had a close relationship with his mother, which we can see in his portraiture. Throughout Freud’s childhood his mother took a very keen interest in his talent, and later his career. This all stopped, however, when Freud’s father died. The death of Ernst L. Freud had a catastrophic effect on his mother, Lucie, who suffered from deep depression until she died. It was in her long period of depression that Freud began to paint her in a collection of very intimate works. These are very detailed snapshots into a private time with mother and son that really shows the lengths of her suffering and distance from her son and the world. Works such as, ‘The Painter’s Mother Resting I, 1975-1976’ are some of Freud’s most well-known and critically acclaimed. 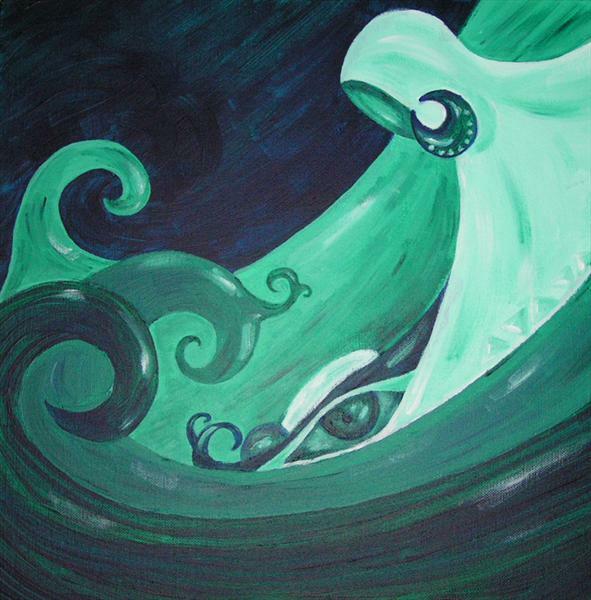 It is believed that throughout his mother’s period of depression, Freud spent over 4,000 hours painting her. Art historian, Lawrence Gowing, wrote that this was the longest time in three hundred years since a painter showed so much about their relationship with their mother in art since Rembrandt. This picture is a faithful representation of one of Rembrandt's portraits of his mother. Rembrandt van Rijn, iconic Dutch artist, is well known for documenting his own self-portraits to show his aging process. He also used his mother as a model for many of his portraits to display similar details of aging. It was common during Rembrandt's era for artists to hone their skills by creating portrait studies of aging subjects, however Rembrandt took his portraits one step further. Using costume and lighting, he created much more theatrical interpretations of his mother that have become highly collectable. Vincent van Gogh has to have a mention here, as he is also one of the most famous artists who was directly inspired by his mother. Anna Carbentus van Gogh was an energetic, family oriented woman who always expressed great affection for her children and husband. One of her beliefs to a happy life was spending time watching flowers grow. She divided up responsibility of the family garden between all the family, which meant her son Vincent spent a lot of his time around flowers that can be seen later in his artwork. Anna was an enthusiastic amateur artist herself and loved to sketch flowers and plants. She noticed van Gogh had a keen talent for drawing and painting their garden flowers from a young age and continued to show her support when he became a full-time artist. The Whistler's Mother, or to give it its correct title, Arrangement in Grey and Black No.1 is one of the most famous paintings of an artist's mother. Originally meant to be a portrait of the much younger daughter of an MP, Maggie Graham, this convas was instead used as a study of James Abbot McNeill Whistler's mother. In a letter to a friend, Whistler's mother explained how Graham had not shown up for a potrait appointment, and how she had decided to stand in. Anna McNeill Whistler also detailed how her son had failed to finish a painting of Mr Graham despite several sittings, producing only half finished, unsuccessful portraits. Anna Whistler was also a very supportive mother and was even James Whistler's art agent for a time when she stayed with him in London. Stephen Davison has taken inspiration from visit to an Inuit community and their culture of loyalty and motherhood. This rich monochrome oil painting is based on a photograph taken by Henry G. Kaiser circa 1906. Mrs Wilkes’ line drawing is a great modern take on the notions of motherhood. The simple addition of red lips and the mark on the mother’s tummy draws the eye to the main theme of the drawing. 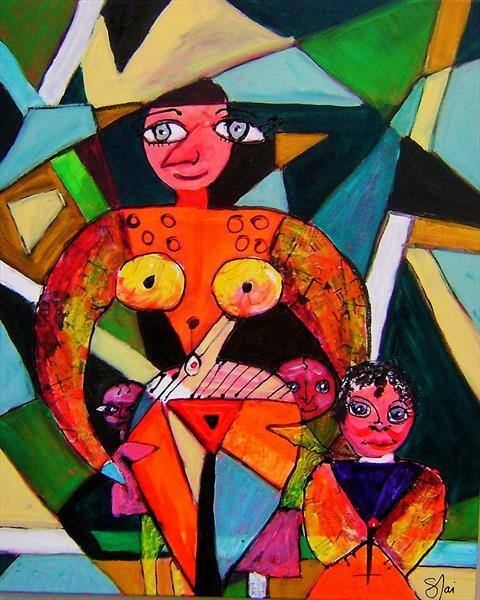 Sandy Jai Hughes has created a portrait of a mother and three children in the famous cubist style of Pablo Picasso. She has also incorporated texture into the piece by adding papier-mâché stained with coloured ink. Hanan Saied has created a dramatic acrylic on canvas depicting a Nubian woman in traditional dress protecting her baby from the natural disasters in the wold like flooding and tsunamis. 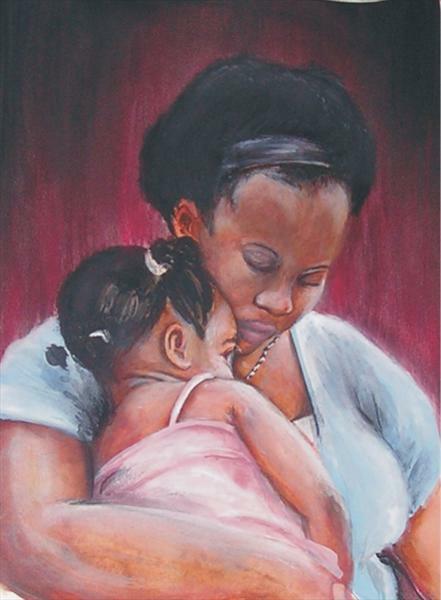 Take a look on our online gallery to find more art from our own artists inspired by their mothers.